Hi friend! I am so glad you have stopped by the site. We have such a wonderful community of moms here and we would LOVE for you to join us as we share life and learn together! Becoming a mother is one of the most intimate and exciting gifts that I have ever known. It is an honor when the Lord entrusts you to nurture and care for another precious human life that He has created. But the truth is, new mom, there are some things that you need to know and be reminded of in order to be sure that your heart and mind are in the right place to hear from the Lord. Today I am going to share with you 3 things that I really need you to know. I believe that these three things will encourage you right where you are at. As a mom of three precious children ranging in age from 15 down to 8; I know how the enemy has tried to make me think and feel as if no one values me. From being alone because we made another military move to suffering from postpartum depression; I have been tempted to feel as if no one cared. 29 Are not two sparrows sold for a penny? Yet not one of them will fall to the ground outside your Father’s care. 30 And even the very hairs of your head are all numbered. 31 So don’t be afraid; you are worth more than many sparrows. After reading this verse the Lord reminded me that I am not alone. And not only is He with me, but He values me. And the same is true for you, dear new mom. God values you and trusts you enough to shape a human life and be a mother to one of His very own children. What an honor it is! 2. Never, ever, compare yourself to other moms. I know from experience just how easy it is to fall into the comparison trap. Whether you are looking at other moms and tempted to envy or judge; it is a slippery slope that leads to nowhere but heartache and despair. As I've heard many great leaders say: Don't compare your beginning to someone's middle nor end. You have to remember that we all have a unique path to follow and Jesus' should be our only guide, not someone else. It is important to note, dear new mom, that God has created you specifically for your children. No other mom that has or ever will walk the face of this planet is better suited for your children than you are. Don't let the lies of thinking the "grass is greener" on the other side trick you into causing division between you and God - ultimately leading to division between you and your children. Always remember that the only standard we should compare ourselves to is that of Jesus Christ. He is the only thing that is certain to never change. And the beautiful thing is that He will love us right into the place that He has predestined us to be if we will only just allow Him to. This is the absolute best advice I have ever been given as a mother. I've learned not to wish the time away because the truth is, new mom, that you will never get it back. I was tempted to wish that my sleepless nights would hurry and go away; but that would mean my babies would grow up way faster than they already were. I often found myself wishing that my babies were "out of diapers" or "walking" or "talking". The thing is - there will be a time when these things happen - but why would I want to take the time away from my baby to develop and grow? Why would I want to rush the process that God has called me to walk out with my precious baby? I know you will get tired and things will get hard, new mom. But you need to remember that God has called you to one of the most noble and honorable positions in life: To be a mother. Know that you are valued and precious, dear new mom. Know that we applaud you for taking the hard but rewarding journey of motherhood. Know that Jesus loves you, and so do I, dear new mom. You can do this. You are doing this. And He is faithful to be with you until the end of time! Carlie Kercheval is a happily married work-at-home homeschooling mom of 3. 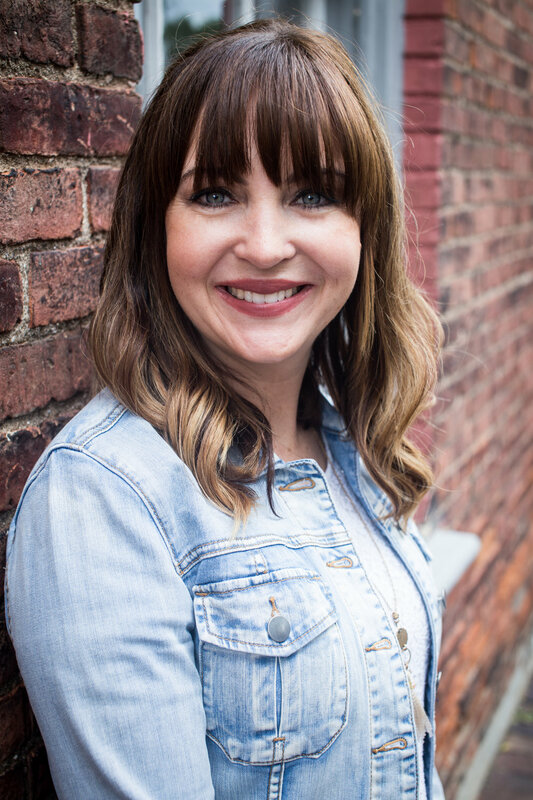 Carlie and her husband co-founded Fulfilling Your Vows™ and help thousands of couples each month strengthen their marriage. She and her husband co-author the best-selling books: Consecrated Conversations: 30 Devotions for Couples and Learning to Speak Life: Fruit of the Spirit Family Bible Study Guide. When she is not busy enjoying her family and the great outdoors, you can typically find her cozied up somewhere under a blanket with a good book. Subscribe to The Better Mom and receive 10 Prayers to Encourage a Mom’s Heart plus a weekly email to inspire moms to become better by becoming more like Jesus. Thank you! Please check your email to confirm and receive your free download. Oct 10 Garden Lites: Because Life is Flying and I Need Veggies to Fly With Me. Subscribe to The Better Mom and receive 10 Prayers to Settle Your Soul plus a weekly email to inspire moms to become better by becoming more like Jesus. We respect your privacy and you can unsubscribe at any time. Thank you! Please see your email for confirmation and your free download.